Linamar is committed to investing in the latest available technologies. From advanced automation and CNC machining equipment used in the manufacturing process, to the testing equipment and software managed by engineering teams to the innovative product solutions the company provides to customers, Linamar is on the leading edge. The foundation for Linamar's technical advancements are rooted in the expertise of McLaren Engineering. Purchased by Linamar in 2003, McLaren provides engineering, testing and prototyping capabilities for product and manufacturing requirements to better support OEM customers. The integration of a lean focused manufacturing operation with that of a racing inspired engine development service provider has proven to be an industry leading combination. The combined expertise of a lean manufacturing company with the advanced capabilities of an engineering development house provides OEMs a full service supplier partner capable of jointly developing advanced powertrain solutions. McLaren Engines was created in 1969 when the New Zealand-born company founder and racing legend Bruce McLaren established a North American base to support his initiatives in the Can-Am and Indy racing series. McLaren won five Can-Am championships in the nine years the series was run. Team McLaren won the Indy 500 in both 1974 and 1976 with Johnny Rutherford behind the wheel. By the end of that decade, McLaren racing efforts were re-concentrated in Europe with a focus on F1. Today, the two McLaren entities co-exist in name only. McLaren Engineering, as it is known today, has remained in the Detroit area as a leading powertrain engineering and development service to the North American automotive industry. Throughout the 1980s and 90s, McLaren operated as a specialty prototype and niche vehicle fabrication and engine development and testing service. The Livonia, Michigan headquarters was a centre for turbocharged racing engines from 1000 hp Offenhausers to Cosworth V-8s, Buick V-6s for Indy/IMSA and compact 2 liter BMWs that produced up to 900 hp. In addition, McLaren built turbocharged V-8s in support of Cadillac's LeMans effort. An instant legend was created when McLaren Engines designed and developed the awe-inspiring Buick GNX as the powertrain partner to ASC Inc. along with the McLaren Mustang and the Pontiac GTP Turbo to follow. Other projects included the Ford FR 500/200/100 concept vehicles and the modified Ford Focus featured in the original "Fast and the Furious" movie. In 1998, a management team purchased the assets of McLaren Engines and re-named it McLaren Engineering which was acquired by Linamar in 2003. Today, the racing heritage and commitment to powertrain performance still resonate within McLaren, though it has evolved to become a design, development, testing and prototype operation with a focus on original equipment manufacturing. 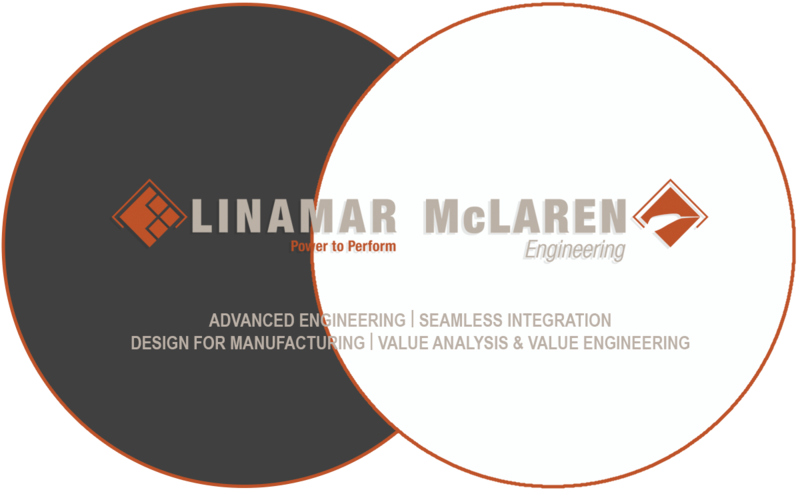 McLaren is fully integrated into the Linamar family as a vital resource in the engineering and development cycle for the systems and components Linamar provides to OEMs. McLaren's capabilities offer a full complement of services that can take the form of any three of the primary functions including fully owned product with black box design responsibilities, collaborative grey box design, development, testing and prototyping, and contract testing, prototyping, and build services. In 2016, Linamar unveiled a new state-of-the-art facility housing an Advanced Gear Lab, Rapid Prototype Manufacturing Cell, & Production Scale Manufacturing Simulation Cell. 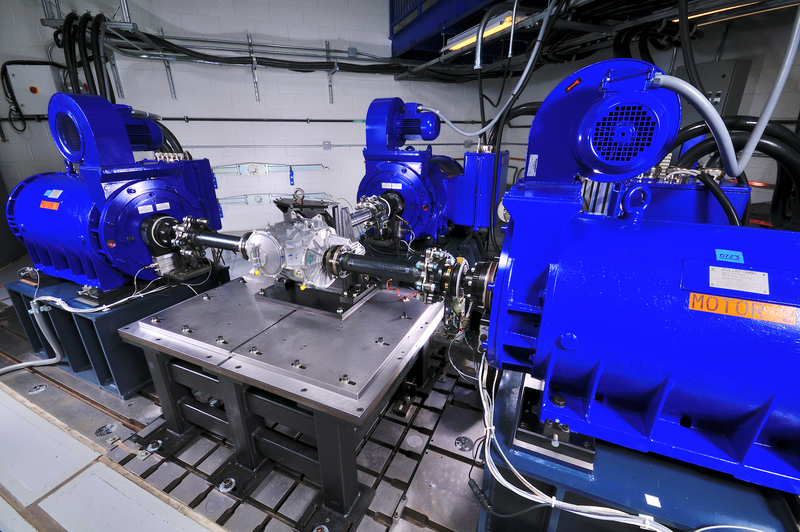 Driveline testing and development work can be performed in one of two new, industry-leading test cells capable of measurement of a wide range of loading conditions to complete durability, NVH, and efficiency testing. In addition, two additional flexible test beds are available. 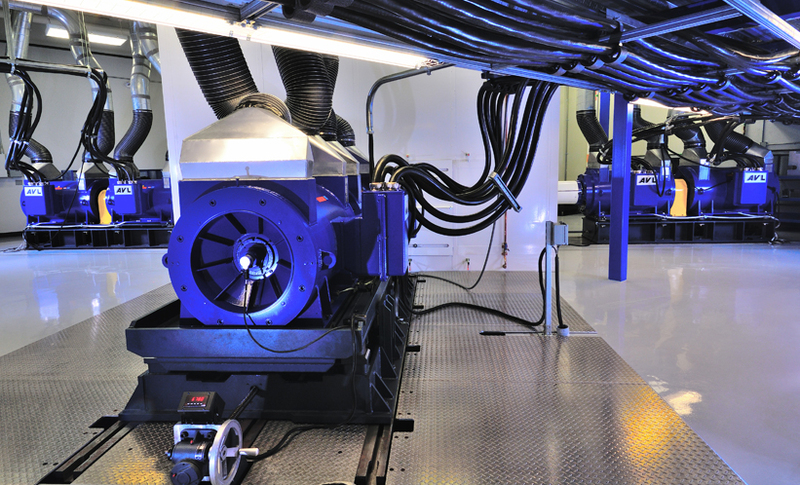 World-class engine testing services and development work can be performed in one of 13 flexible test cells capable of controlling temperature, humidity, speed, torque, and flow. Measurements include emissions, air fuel ratio, combustion, and NVH. Low-volume complex parts and assemblies including complete engines and gear boxes (PTU's, RDU's transfer cases, axles and related) can be prototyped in the powertrain build department for units used in design and production validation. Rapid-prototype thermoplastic models can be made on site to assist engineering, sales and other groups. Customer fabrications and precision-machined parts, fixtures and tools can be created in the world-class Metalworking Departments. Custom CMM services can be provided such as specific measurement or programming assistance. With technology, there's only one answer. If you're not willing to change, you're going to die. The Linamar Product Development System is a disciplined approach to the product development cycle as outlined by the Linamar GOS (Global Operating System) Playbook. 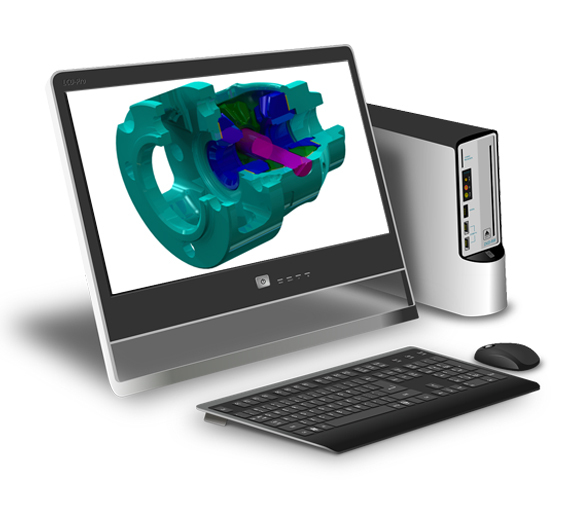 The step-by-step process begins with design creation through the use of advanced industry CAD and CAE software packages, followed by Design Validation (DV) and Production Validation (PV) level testing of physical parts in our own development facilities and lastly, release of the approved production design into the Linamar manufacturing environment. Linamar and McLaren collaborate during this process to ensure seamless integration from initial concept through to program end-of-life. This proven approach to Product Development is responsible for numerous success stories that have brought advancements and innovations to the marketplace. Many sports production cars have roots in racing, but the '12 Mustang Boss 302 is one of few that can boast such lineage on both sides of its family tree. The OEM branch is represented by racing legend Parnelli Jones' historic 1970 Trans-Am championship - a milestone event in Ford history. However, the supplier side of the Boss program can be tied back to track icon Bruce McLaren. Linamar, a global producer of powertrain components based in Ontario, Canada, machined the intake and exhaust ports of the car's 5.0L V-8, as well as the 444-hp engine's combustion chambers. " We also did some flow analysis on it," says Mark Stoddart, Linamar's Chief Technology Officer and Executive Vice President - Marketing. "But the big thing is really the process. The process was originally developed by our McLaren Performance Technology group." In 2003, Linamar acquired the late racing star's engineering house, "which does all of our product and process development," Stoddart tells Ward's. The fusion of McLaren's engineering talent and Linamar's manufacturing expertise enabled the supplier to deliver a highly technical component in niche volumes at mass-production speed and cost, he says. 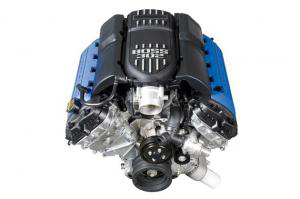 In keeping with the original Boss Mustang, Ford designed a high-performance, naturally aspirated power plant based on its all-new Coyote 5.0L V-8, one of Ward's 10 Best Engines for 2011. But the auto maker's Boss ambitions went well beyond nostalgia and mere specifications. McLaren Performance Technologies was selected as a finalist in the 2007 Automotive News PACE Award competition for its Opti-Power innovation used on engine cylinder heads. Opti-Power is an end-to-end design / development / manufacture process. It originates with the functional design of the cylinder head for air flow performance, "Wet-Flow" combustion technology, valve-train packaging, 5-Axis CNC "Flexible Machining", and a unique method to fixture the part to permit all critical machining in one setup. The fixturing eliminates all stack-up variance caused by multiple setups or machine-to-machine variances allowing a degree of precision in the final product not previously seen in mass production cylinder head manufacturing. Opti-Power takes esoteric, high-performance technology from the world of motor racing and offers it for OEM mass production at a normal production price. The benefits of 5-Axis CNC machining (Contour Milling) of cylinder head ports and combustion chambers have been associated with the racing industry for several years. Opti-Power makes this technology viable to the mass production marketplace. Chrysler utilized the Opti-Power technology on the production releases of the 2008 Dodge Viper SRT V10 engine. By working with specialists from McLaren Performance Technologies as well as Ricardo Inc., SRT engineers began by following the racer's basic formula for more power: bigger displacement, more efficient breathing and higher engine speed. PACE stands for Premier Automotive Suppliers' Contribution to Excellence. It is an award presented each year by Automotive News. It recognizes innovation, technological advancement and business performance. 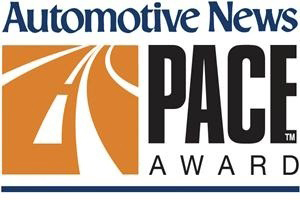 The Automotive News PACE Award is open to suppliers that contribute products, processes, materials or services directly to the manufacture of cars or trucks. The award is accepted around the world as the industry symbol of innovation. Guelph, Ontario - April 15, 2013 - As global demand for vehicles with all-wheel drive (AWD) capabilities and increased fuel efficiency continue to grow, Linamar Corporation's newly developed Hybrid Power Unit offers automakers a modular system for hybrid AWD applications. The Linamar system also offers increased safety while reducing vehicle emissions and improving city driving fuel economy by up to 80%. 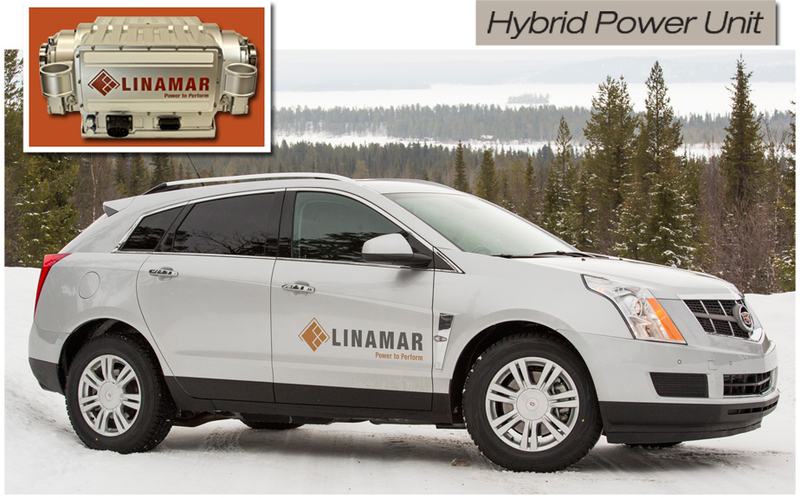 Linamar's demonstration vehicle, a Cadillac SRX, features the Hybrid Power Unit with twin independent 75kW motors. Its lithium-ion batteries supply the SRX with enough electric power to run up to 20 miles without using its internal combustion engine and provide extra power that can be utilized to improve acceleration when required. The twin motors can be programmed for fully independent active torque vectoring, which increases safety and handling by improving front-to-back and side-to-side drivability and optimize vehicle stability during turns, evasive maneuvers and slippery conditions. The Hybrid Power Unit can be integrated with virtually any existing standard two-wheel drive powertrain design to achieve an AWD hybrid system. The combination of conventional front-wheel drive and electric rear-wheel drive greatly improves fuel economy, vehicle stability and performance, at a reduced overall system cost. "Consumers increasingly want the safety of all-wheel drive, the fuel efficiency of a hybrid, and the power of an internal combustion engine," said Mark Stoddart, CTO, Linamar Corporation. "The Hybrid Power Unit answers all of those needs without sacrificing performance or adding significant cost." The Hybrid Power Unit is a fully integrated modular and scalable unit that eliminates mechanical complexity and allows for 'bolt-on' installation between the vehicle's suspension components. The unit can be used on a wide-range of applications from micro hybrid to PHE/EV. The system is capable of powering the rear wheels in conjunction with the traditional powertrain, which drives the front wheels, allowing the vehicle to operate in four different drive modes: front-wheel drive (FWD) mode powered only by the internal combustion engine (ICE); electric only (EV) mode, which is rear-wheel drive powered only by the battery and the electric motors; and Hybrid and AWD modes, which allow the ICE and the rear electric motors to work together to provide the desired combination of fuel economy and performance. This article has been republished with the permission of UKIP Media and Events Ltd.
For efficiencies to be gained, designers will require gears that are smaller, quieter and more durable to meet packaging, NVH and long life expectations. The automotive industry is in a full sprint to increase fuel economy levels to, among other things, meet the 4.31 liters/100km (54.5 mpg) corporate average fuel economy target that has been set by the US government. A key area of focus to meet that legislation will be the vehicle transmission and driveline system. The demand for efficiency, durability and power density has resulted in highly efficient 6-speed transmissions and soon the market will propel forward to both 9- and 10-speed designs. For these efficiencies to be gained, designers will require gears that are smaller, quieter and more durable to meet expectations for packaging, NVH and long life expectancy. Linamar Corporation, a manufacturer of powertrain components, has been producing gears for the past 15 years. What began as a small Canadian machining operation has evolved to become a complete global engineering and manufacturing corporation that now designs and manufactures nearly 25 million gears each year, including helical gears for transmissions, and hypoid and helical gears for driveline applications. Making great gears is more than just manufacturing; it requires an extensive understanding of gear manufacturing and gear design," explains Scott Maxwell, director of business development for Linamar's Driveline System Group. "We are one of the largest independent gear producers in North America and our integrated approach enables us to control the entire manufacturing process, from design to final production, ensuring we consistently deliver high-quality gears." Automakers recognize the need for a manufacturing partner that understands the competencies that go into gear design and development. They require higher efficiency, optimization of NVH capability, and much more. Linamar's robust capabilities in all aspects of gear manufacture and design have grown both organically and through acquisition. 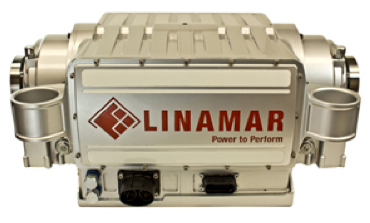 This includes the acquisition of a Ford power transfer unit business in 2007, which is part of why Linamar is an ideal partner for auto makers to bring innovation geared systems to market. "When OEMs come to us, they know they are getting a complete and integrated set of capabilities," adds Maxwell. "Our component-level testing, combined with the prototype gear processing, make each gear specific to the needs of the customers, reinforcing our role as a gear system supplier." 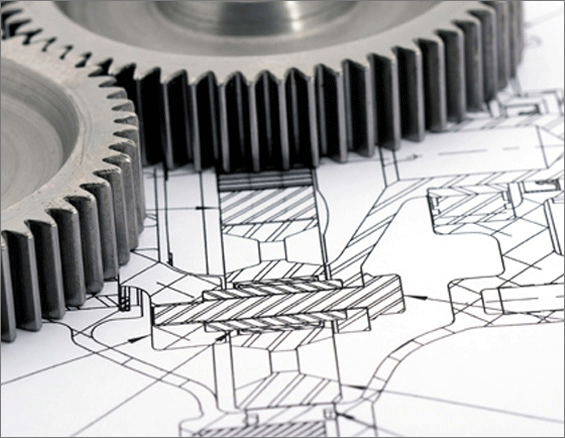 Essential to Linamar's success as a global gear manufacturer is its combined capabilities in engineering and development, prototype manufacturing and testing. It's widely understood that every aspect of the gear design and production is complex, so it's very important that engineers and manufacturing experts are in lock-step throughout the entire development and production process. At the onset of a project, Linamar determines the design definitions and features, and completes a competitive benchmark to ensure project feasibility. Using its engineering expertise, it outlines the design specifications and creates a 3D model of the product for virtual validation. This model is used for system, process and NVH testing to further validate the product design. 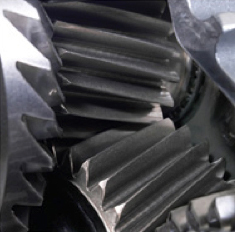 At this point, Linamar conducts a multilevel gear tooth analysis to ensure the gears meet customer requirements. This includes thoroughly simulating gear stress tests; production variability; process evaluation; and analysis of the best contact patterns for efficiency, NVH and durability requirements. Once the design and simulation process is complete, Linamar develops a prototype using its state-of-the-art gear and metallurgical labs. 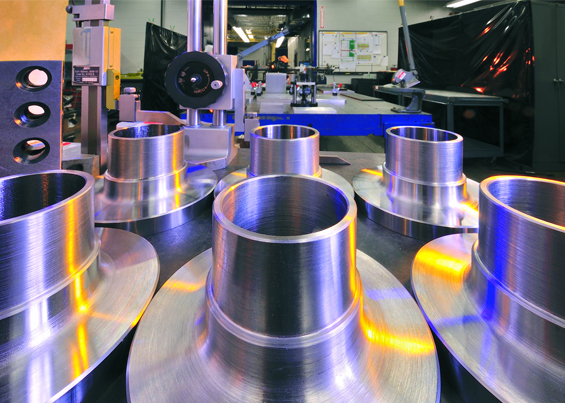 The company's gear lab is able to manufacture hobbed and lapped hypoid ring and pinions, including single flank testing. It is also equipped for helical gear hobbing and grinding with inspection capabilities for both processes. The metallurgical lab complements the prototype manufacturing process by focusing on the material selection, heat treatment and welding development. After the designing and prototyping stages, Linamar engineers teats the gears to ensure correct NVH level and durability, as well as optimal oil flow and interface lubrication. Each test ensures that the product has achieved the specifications laid out in the engineering and development phase. Linamar's integrated management of design and engineering, combined with 47 years of machining expertise and in-house secondary process capabilities, all translate to a highly controlled manufacturing process specifically tailored to the individual program requirements. This customized processing is applied to mass production. "Auto makers require their suppliers to have a combined understanding of design, development, testing and production before they will be considered for sourcing of a new product," says Maxwell. "We have worked hard to ensure we have complete systems and engineering competence to meet the growing demand for transmission and driveline gears around the globe." Linamar is building a global driveline business that includes advanced all-wheel drive (AWD) systems, clutch module assemblies. But at the core of that global business strategy is its gear capability: "You cannot be a solutions provider without a foundation based on the science of gears. Gears are part of Linamar's DNA," continues Maxwell. Linamar is using its deep understanding of gears to develop new innovations such as the recently launched hybrid power unit electric rear axle. Testing of the unit on a demonstrator vehicle began earlier this year. By installing the battery-powered, electric hybrid power unit system into the vehicle's rear axle, it offers OEMs a modular solution to turn front-drive architectures into AWD. The hybrid power unit allows for increased fuel savings when the unit operates in EV/hybrid mode; or increased performance, control and stability when it is in AWD mode. "The hybrid power unit is a product that we are really excited about, especially since it is a solution that is scalable to the vehicle size and fuel economy requirements. We believe it addresses two key market trends simultaneously - electrification and all-wheel drive," says Maxwell. Linamar & McLaren are capable of secure CAD file transfer via numerous OEM and Tier 1 file transfer portals. McLaren Performance utilizes some of the world's most advanced Driveline System Testing equipment. 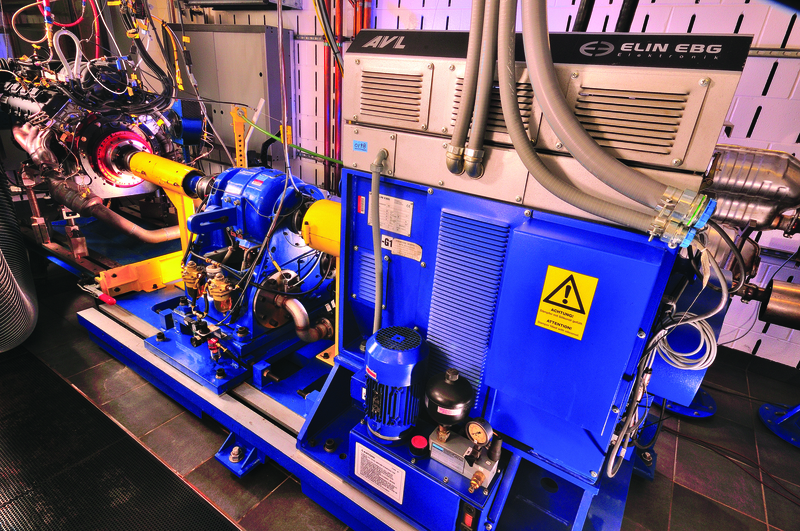 The scope of testing capabilities include NVH/TE, Durability, Environmental and Electric Hybrid Powertrain. Review the following Driveline Testing Cell details for a full explanation of each specialty testing cells. 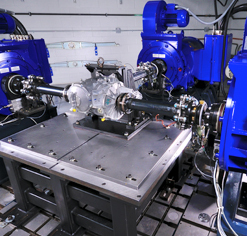 Comprehensive engine testing services are provided through 16 available engine dynamometer test cells. Linamar's Research & Development activities will continue in product areas that will enhance value for its customers and meet future market needs. The R&D focus is on achieving product solutions that will benefit customers on critical fuel economy, emissions as well as cost and quality needs. Alternative materials, chemistry structures, geometries or coatings that achieve lighter weight or offer more durable designs . Driveline systems that engage or disengage so they are used only when necessary driving conditions demand, improving fuel consumption and minimizing parasitic losses. Known as the Driveline to the power of 'E' initiative, Linamar is researching and developing powertrain solutions that will integrate and aid with new technologies used in future Vehicle Electrification. New equipment, systems or processes that improve quality and drive out manufacturing costs in order to stay competitive and continue to be a leading source of powertrain system solutions for OEM customers. To be a flexible, responsive, capable, competitive, and customer-focused powertrain/driveline testing and prototype build services organization leveraging our employees and assets to the fullest extent possible for the benefit of internal and external customers. Design, Development, Testing and R&D occurs both at the McLaren Detroit campus located on 8 Mile Road in Livonia, Michigan as well as at the Frank Hasenfratz Centre For Manufacturing Excellence located near Linamar's headquarters in Guelph, Ontario. McLaren has a variety of specialized equipment that supports the design, development, integration, and validation of powertrain systems. Product segments include, but are not limited to automotive, commercial vehicle, marine, E-vehicle, and industrial markets.